You are here: Home > Pets Get Arthritis Too! Many dogs or cats, no matter what their age, will suffer from the effects of arthritis. 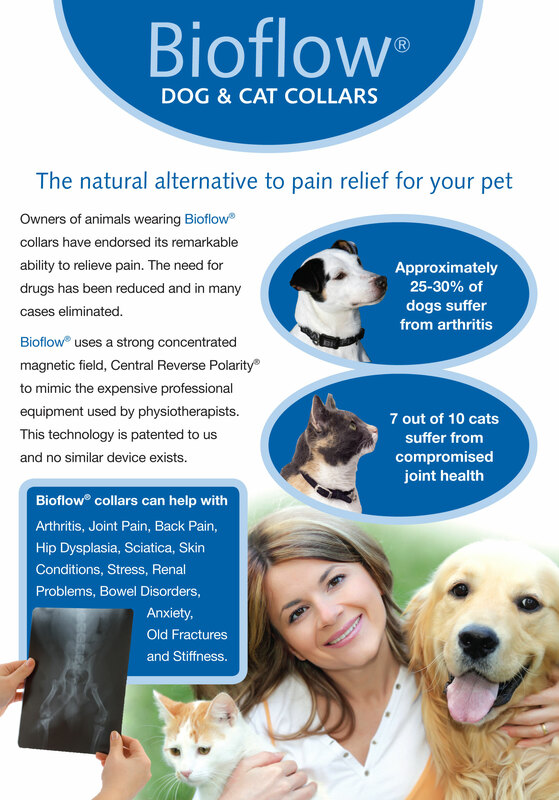 Bioflow(R) magnetic pet collars can offer a drug free alternative to pain relief and the effects of arthritis. The use of a strong concentrated magnetic field which the Bioflow(R) patented “Central Reverse Polarity” (R) magnetic pet collars has, mimics the expensive equipment used by physiotherapists. Veterinarians have also seen the benefits and relief the use of the magnetic pet collars can give, not just for arthritis but also for other joint injuries and pain . Animals know nothing about the “placebo’ effect. that how a user can be aware of it. So that’s why this post is outstdanding. Thanks!